For a long time now, the largest cryptocurrency per market capitalization, Bitcoin, has been trading in range between $3000 and $4200. The price has experienced a sudden spike within the week after it fell as low as $3550. The price of BTC isn’t currently at its best. On the other end of the continuum, however, the Lightning Network reached 575 BTC in capacity indicating that Bitcoin is making progress per adoption. Even with its weak price, the fundamentals are relatively strong and they are getting stronger day by day. At block 558,600, 66% of the total blocks had been mined. The next block halving is scheduled to take place on the 25th of May 2020. Only a certain number of Bitcoins can be in existence at a given time. This is why developers use the block halving process to maintain order by slashing block rewards. Next year, the block reward will be reduced from 12.5 BTCs to 6.25 BTCs. At the time this article was written, about 558,763 BTCs had been mined. The inflation rate was 3.83% per annum. Every year, the total number of Bitcoins mined will keep reducing until it gets to 21 million BTCs in circulation. The last halving was done in 2016. Before that, one was done in 2012. If history is to serve as a teacher, the price of BTC will rise after the halving. In November 2012, the price of BTC rose from $12.25 before halving to $1,149, after halving. In August 7th 2016, another halving was sanctioned and it took the price of BTC from $657.61 to its all-time-high of $19,500 in 498 days. While the halving may not be the only reason for a significant price spike, it’s okay to be hopeful. If the price of BTC is to rise after the halving, it may rise significantly carrying the entire market along. In an unpredictable market, we can only wait and see how things turn out. 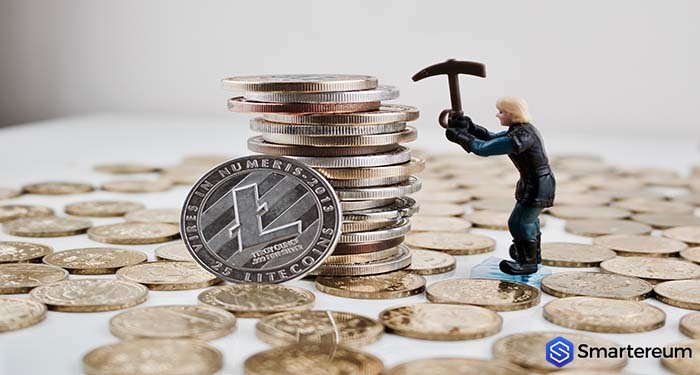 This year, the silver to Bitcoin’s gold, Litecoin is going to be halved. The block halving is scheduled for August 8. The block has reached 1,562,469 at 86% capacity. Hopefully, the halving will help LTC recover some of the gains it lost during the bearish wave in the market. The price of BTC is still unstable. Ever since it fell dramatically from its all-time-high, BTC hasn’t been able to find balance. Moving above the $4000 resistance level seems challenging. While some analysts believe it has bottomed out, there are those who believe the price of Bitcoin will continue to fall against the USD. At the time of writing, BTC was trading at $3,638.62. This shows that it is down by 0.91% against the USD. The market capitalization is $63,625,800,804 and the total trading volume is $5,333,247,344. The next few days of trading will determine if the price action will change or not. 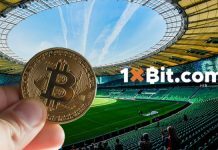 Do you think the Bitcoin halving will help boost the price of BTC and other cryptocurrencies in the market? Share your thoughts below.